Oh So Trivial: Heads Up! Die-hard fans of the Star Wars franchise know all about the following little gem of trivia, but for those of you who haven’t seen the films fifty times, watch out for this “oops” moment from Star Wars Episode IV: A New Hope. Luke attempts to contact C3PO and R2 to shut down the trash compactor before our heroes are squished with last night’s left-overs. Cut to a scene of Stormtroopers entering the control room. Keep your eyes on the trooper over the lead trooper’s left shoulder (on the right side of the screen). He whacks his head on the door and briefly stumbles backward! He hits his head so hard he actually has to readjust his helmet. Classic, Phil the Stormtrooper! 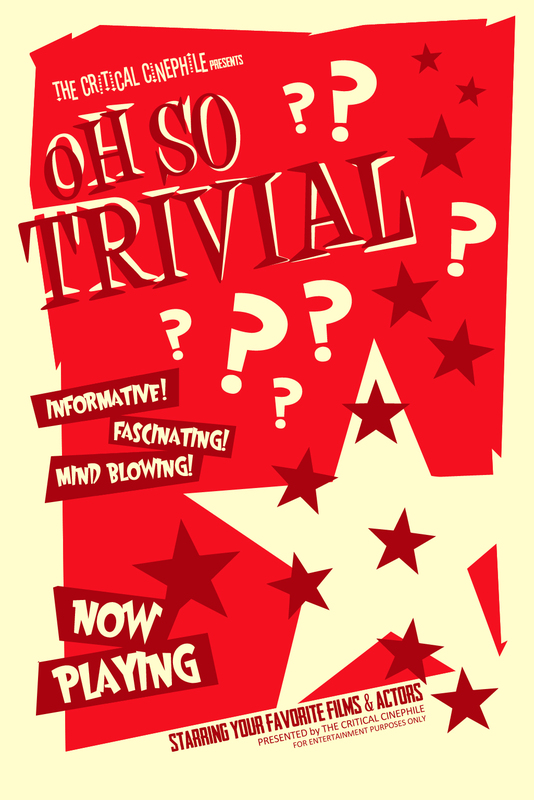 This entry was posted in Oh So Trivial!, Uncategorized and tagged Hits Head, Star Wars, Stormtrooper, Trivia. Bookmark the permalink. By the way? Did you make that graphic?? It’s fantastic! Yes Sir! And thank you! I was just about to say the same. It’s very nice indeed! I wish I had that kind of talent…. Oh Eric, you have many talents. Most of which we can’t talk about in public. Awww, you guys are just too kind! Thanks so much! This one scene shows up how stupid the prequels are. If all Stormtroopers are clones then how can one of them bump his head. I refuse to accept the prequels! Why did this comment show up as spam? Hmmmmm…..I’m thinkin’ WordPress has bequeathed you with a new nickname! What-up, Spam? Yeah, that totally works. Spamela is perfect! And so shall it be. Questions: Do you think Phil saw STARS when he whacked his head? Do you think the Craft Services Food Truck (on the set of the new Star Wars ) will serve GERITOL ( cause Carrie Fisher , who looks older than her Mother, might benefit from a mega daily dose)…just say in’. It just wont be the same if Han Solo comes shuffling in with a walker! Didn’t you mean …shuffling in with a (Luke sky) WALKER?